iPhones users can now use Microsoft’s Office Mobile product. 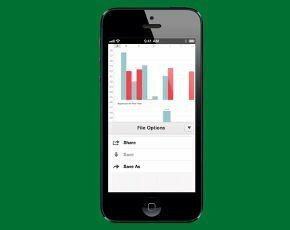 Available as a free download from the AppStore, Office Mobile for iPhone requires an Office 365 subscription, which costs £8.40 per user per month for the Small Business Premium version. After signing in to an Office 365 account, users can access, view and edit Microsoft Word, Excel and PowerPoint documents from anywhere, Microsoft said.